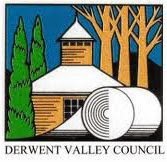 Derwent Valley Council rates will increase by 2.8%, the same as the Hobart CPI increase for the past year. This along with other measures in the Derwent Valley Council Budget for 2014–15 was passed at the Council Meeting on June 19. For most households this equates to an increase of $30 per year. Along with the setting of the rates, the Annual Budget includes capital works plans for the coming year, and a number of community projects. “Each year Derwent Valley Council calls for budget submissions from the public, this gives our community the opportunity to put forward infrastructure or community projects for consideration in the coming budget,” Mayor Martyn Evans said. “Budget deliberations were particularly hard this year, we are mindful of keeping rate increases to a minimum while still providing a level of service our community has come to expect. This task was made harder because of changes to funding in the Financial Assistance Grants that Council receives from the Australian Government. Despite this, Council is very pleased to be able to keep rate increases to a minimum, and still invest in a number of infrastructure and other projects across the municipal area,” Martyn Evans said.